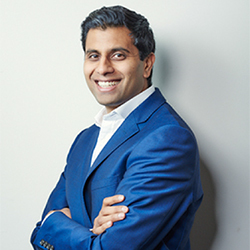 Vikram is the founder of JCURV, a consultancy with the sole focus of increasing the agility of the UK. Vikram and the JCURV team work with the Boards of FTSE 100 organisations, public bodies and charities to help transform the way their enterprises work in order to respond faster and more efficiently to the market. JCURV has recently supported the launch delivery of a $1bn programme for a FTSE 100 organisation using Agile ways of working. Previously, Vikram worked at Oliver Wyman, Lloyds Banking Group and Gemini consulting.